I haven't posted in nearly a month. I've missed blogging so much but college deadlines have well and truly taken over (even though I am yet to actually get started on the work..Ha). I can't wait for the Christmas break next week and I am too excited for Christmas. 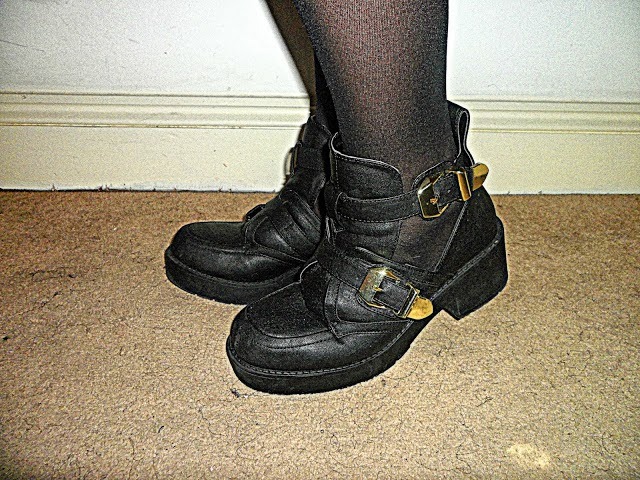 Today's post is actually a Christmassy one. 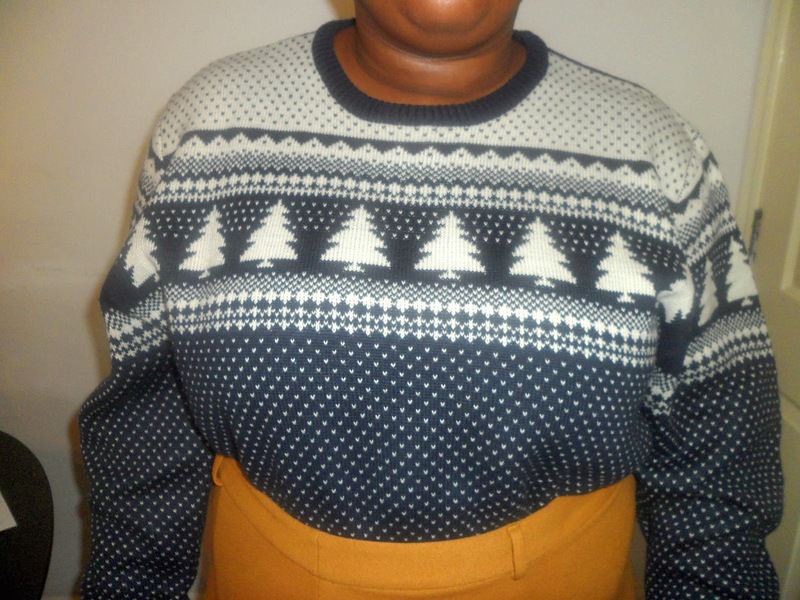 I got the chance take part in a Blogger's Christmas Jumper Challenge with Talented Talkers and got to pick out a Christmas jumper from George at Asda. I think it was definitely one of the hardest decisions I've made in a long time, haha. I eventually picked out this super cosy and cute jumper from the men's section. I always find in anywhere I shop that I love shopping in both the men and women's sections. George have a whole range of Christmas Jumpers in so many great designs and in lots of different sizes. 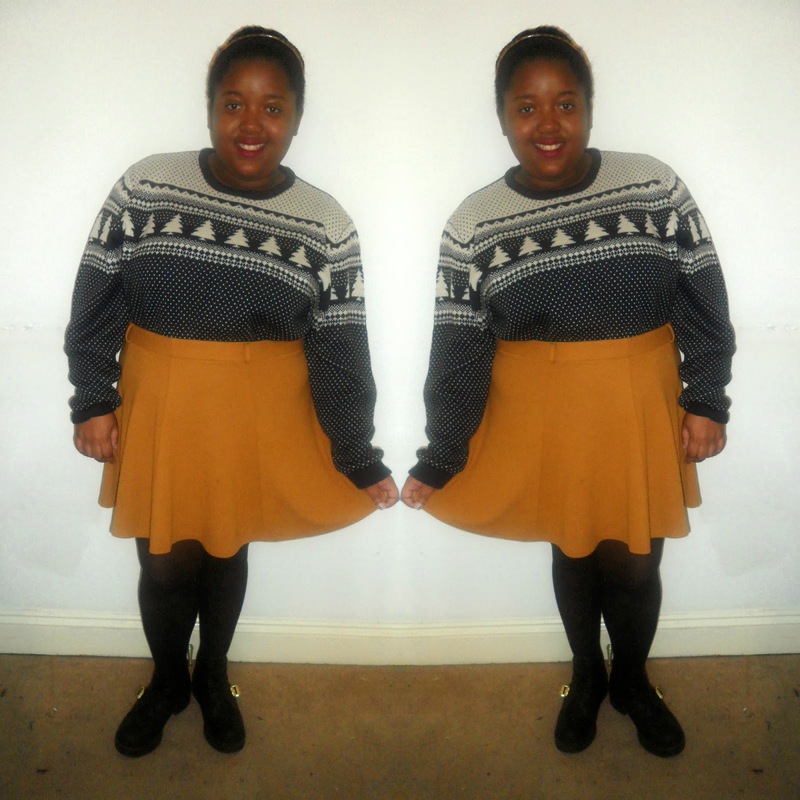 I decided to pair my jumper with my favourite mustard skirt from Asos. It goes so well with the majority of the clothes I own. I think the colours work great together. 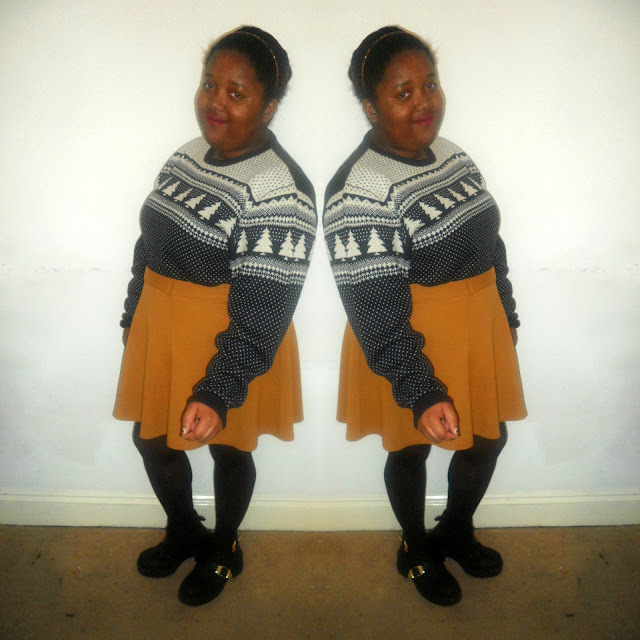 I absolutely love the design on the jumper and that's definitely what made me pick it out. It's simple but super Christmassy and it's a jumper I know I'll pull out every year and wear. It's quite oversized but I do prefer my jumpers like this so you get that extra warmth. I also just had to add a red lip and I don't think it looks too much with the outfit. I absolutely love Christmas jumpers but I don't own any! I think it's like wearing hats.. I'd be scared to do it but you've just got to do it and not care what anyone thinks! Love seeing everyone else getting into the festive spirit, and love the look! Looking fabulous! !